e:merge is a charity that has undertaken youth work for over 20 years in the most segregated, deprived and broken wards in Bradford. Our goal is to reach the most marginalised and enable them to become part of a community within which they can thrive, develop & realise their potential. Our mission is to inspire young people to improve their lives at home, in school, on the streets. We deliver a diverse range of activities across the city, from specific behavioural and therapeutic interventions in schools to evening based community and sports activities. E:merge works with over 1600 young people a year. We partner with local churches and community groups rooting the work and basing on the needs of that individual community. We run a youth congregation in partnership with Outworks:Bradford, called Xstream. We have also seen expansion to work in Battersea in South London. For some of the particularly vulnerable young people we serve. Those suffering forms of abuse, are faced with incredibly tough situations and who often feel hopeless. Pray for our team who work with them offering hope and love. Please pray for wisdom and discernment in leadership navigating the charity in these difficult financial times, for favour with funders and anointing on decisions. 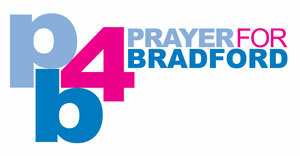 Pray for the churches we are working with in some of the most challenging parts of Bradford and South West London. Pray for our partnership with them and our joint vision to bring hope to young people and inspire them to transform their community.